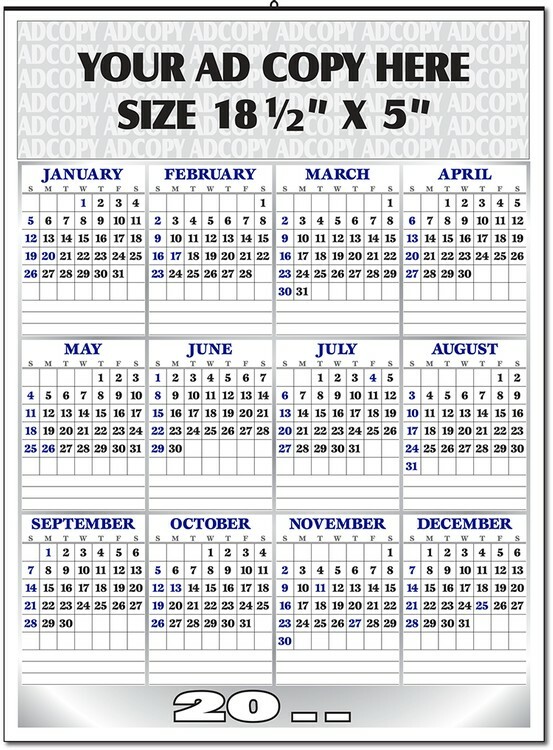 This Large Yearly is an additional new product to grace the M-Line Calendar product line. This modern design for a yearly calendar would look good on your customers wall with your business name and ad copy information expertly positioned at the top of the calendar utilizing the full width of the calendar itself. • Ad Space: 18-1/2" X 5"